Gold Flying Pheasant Neck Tie. 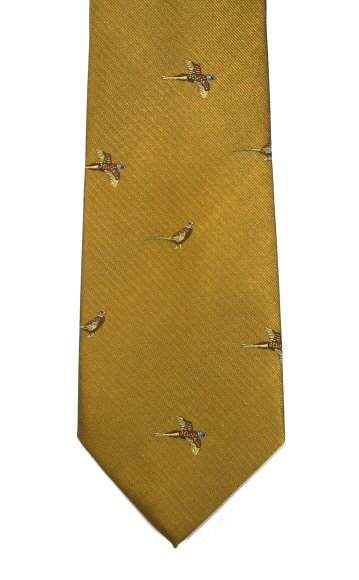 Flying and standing pheasants embroidered bird motif on plain gold tie. A beautiful pheasant tie with a double pheasants designin standing pose on a cream background. Made in the UK from English silk. An eye catching flying pheasant tie with coloured pheasants in flight on a dark green English silk tie.